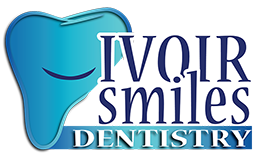 Defective oral hygiene can lead to various diseases of the teeth and gums. In the case of gum disease, the first symptom is always inflammation, which can be graded at various levels depending upon the level of bacterial aggression and the body’s response to the infection. In some circumstances, the persistence of inflammation may degenerate into enlargement of the gingiva (also called gingival hyperplasia or gingival hypertrophy, depending on the microscopic aspect of the lesion). A thorough investigation of the patient’s medical history is necessary to identify any contributing factors, which will help establish the proper diagnosis and thus the appropriate treatment plan. It is worth noting, however, that orthodontic work has also been associated with gingival enlargement. In both my clinical experience and in the medical literature, bacterial plaque is found in most if not all cases of inflammation of the gingiva, also known as gingivitis. The case illustrated in the photos is a 17-year-old male patient with unremarkable medical history and defective oral hygiene. 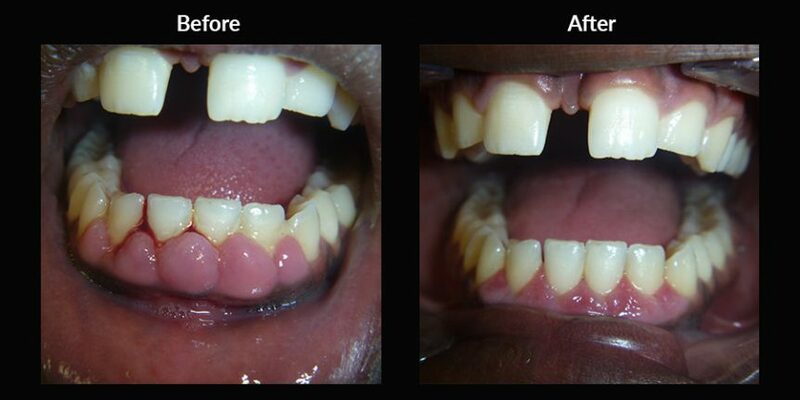 The ultimate treatment for this patient was gingival plastic surgery using a traditional surgical electrode. The path to surgery included oral hygiene instructions and several sessions of professional “teeth cleaning”. The patient responded well to the procedure. The post-operative photograph shown here was taken two weeks after surgery. We hope that this post demonstrates the importance of proper oral hygiene and regular cleanings in maintaining a healthy mouth!